Tin cans have many uses other than containing food. They're perfect for making some very fun rustic crafts too. 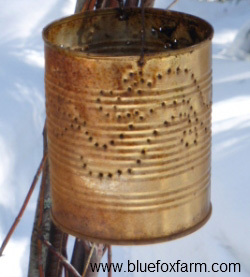 Recycling cans to make into crafts is easy; simply make sure they are cleaned of food, and throw them into the fire for a quick burn to get rid of paint, labels and other finishes, and then let them go rusty. 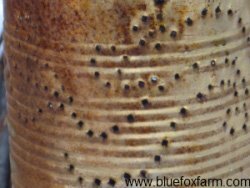 See more on how to make metal look old here, and give your tin cans a rustic look. 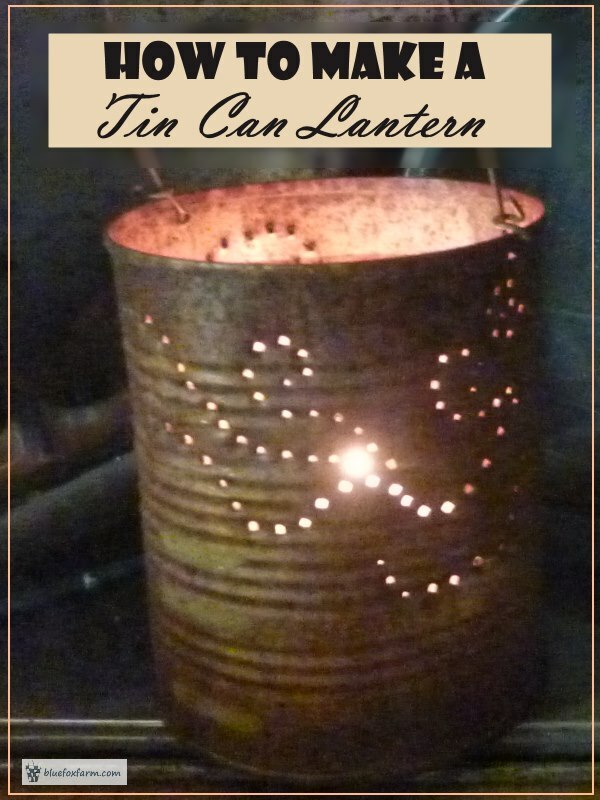 Tin can lanterns are a quick craft that will give you a safe way to have candle light in your rustic garden shed or other garden structure. Punch holes into the sides to let the light shine in a pattern or at random. To stop them from getting mishapen (in case that's not a look you like) fill them with water and put them in the freezer - or do what I do, and make this a winter craft, leaving them outdoors. Use a sharp nail so it can punch through the metal - sometimes you need more than one if your lantern is big or with a full design because they go blunt after a while. Turn the can around and fill in the pattern. Make sure to leave a little bit of metal between each hole so the can won’t fall apart under the stress of use. Make several of these with wire handles to hang on rustic archways, in a twig gazebo, arbor, or other rustic garden structure or; omit the handle and have them simply displayed on steps, in a group on a driftwood table or to light the way down a path. 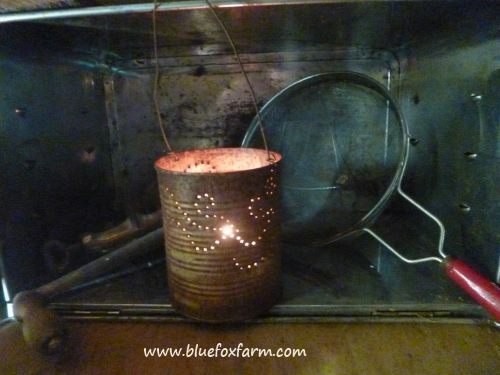 Take care using your tin can lanterns as they will get hot with the candle inside. Another safer option is to make enough of these to cover each light bulb of a string of Christmas lights. Think of using these clustered together in the center of your party snack table, or in a row down the driveway or to light the way down a set of steps.